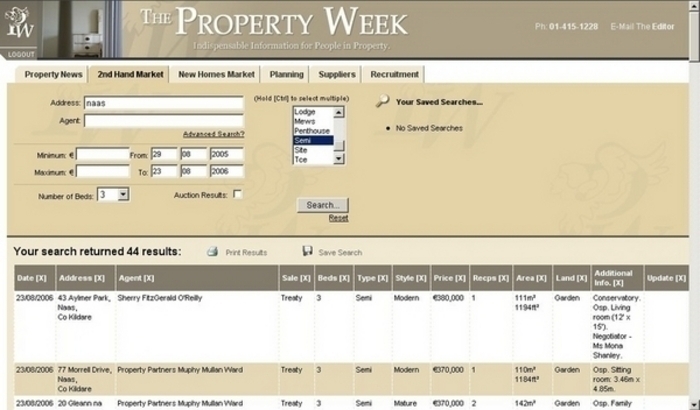 Here subscribers can analyse and compare all the SECOND-HAND properties that come on the market in our unique, "just the facts" style presentation. We collate the information on a daily basis, and the data is immediately fully searchable and archived. (We have data going back to 2002.) We also track price changes and retro-fit the achieved prices from the Price Register into our listings. Our data is perfect for valuations, sales, competitor watching and market knowledge.